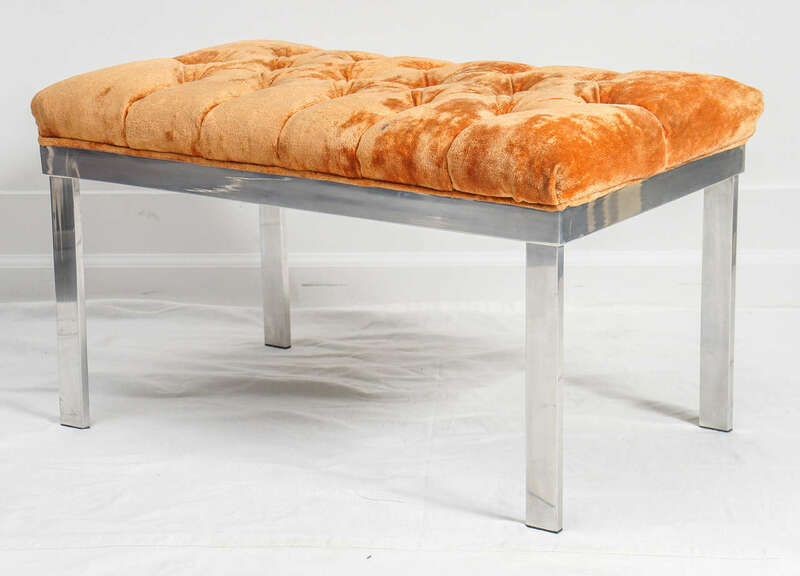 Often found listed as a Harvey Probber aluminum lounge chair and ottoman. 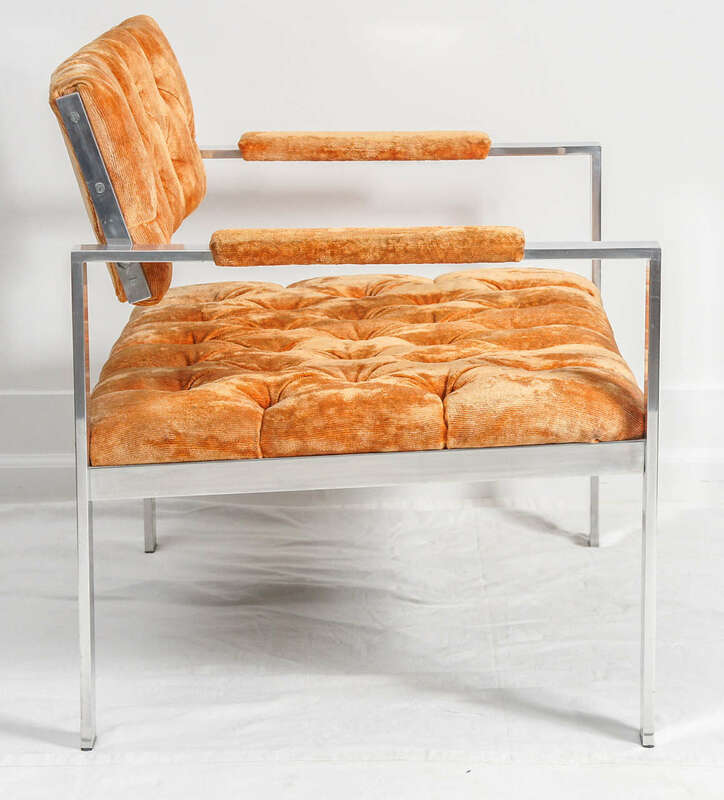 The chair is identical to the Probber chair, other than a couple of screws. 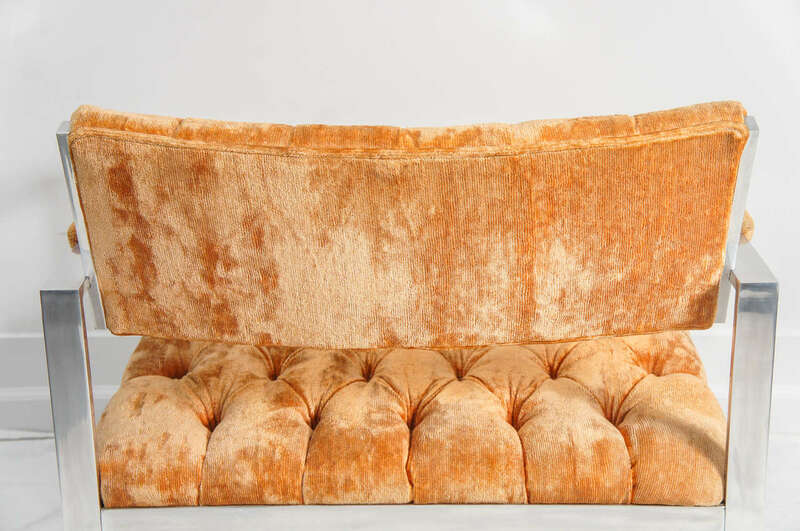 Its shown in its original orange tufted velvet. The frames are in excellent condition, with a couple light scratches. 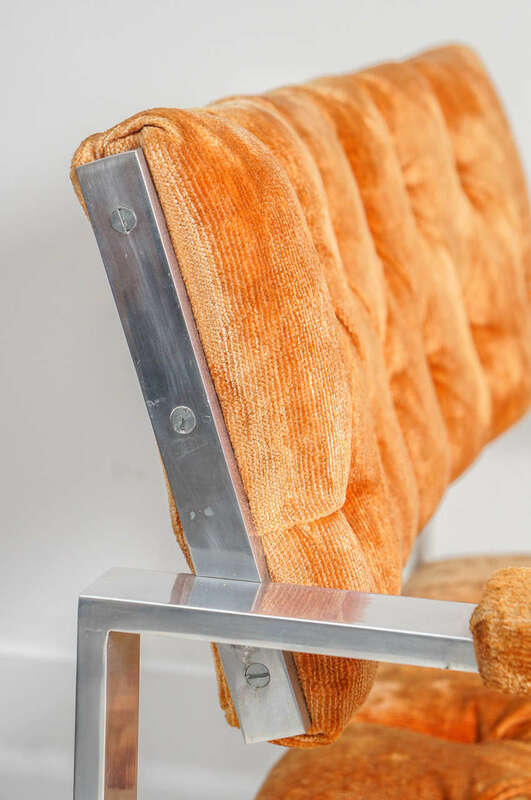 The upholstery has seen better days and will need an update! 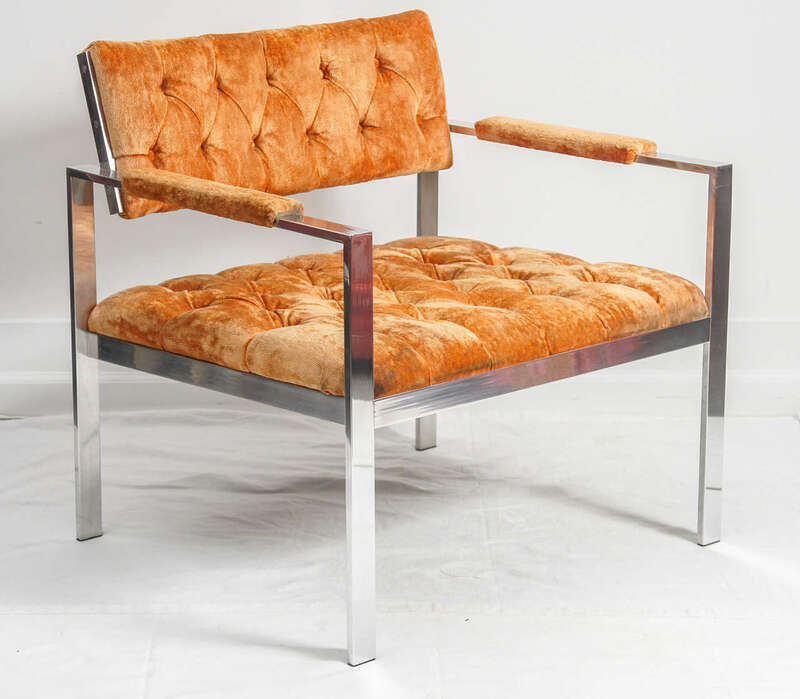 Sold through Erwin Lambeth in the 1960s. Designer unknown. frames are great with a few scratches. very good overall. 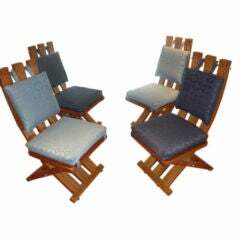 A nice pair of Harvey Probber dining chairs. 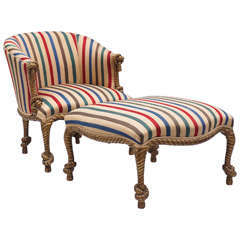 An additional pair of captain chairs are available as well. 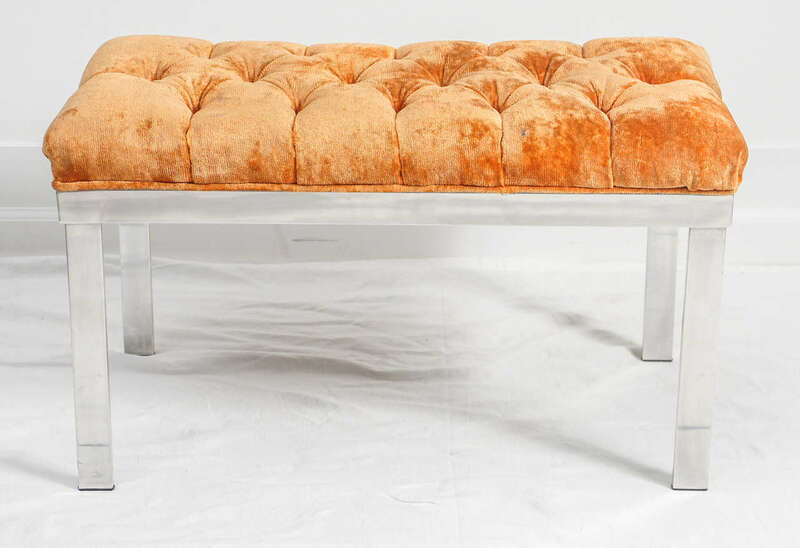 Would look great with new upholstery. This set is super. Yes it needs an update. 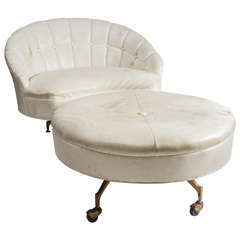 The frame is strong and new upholstery with make this shine. 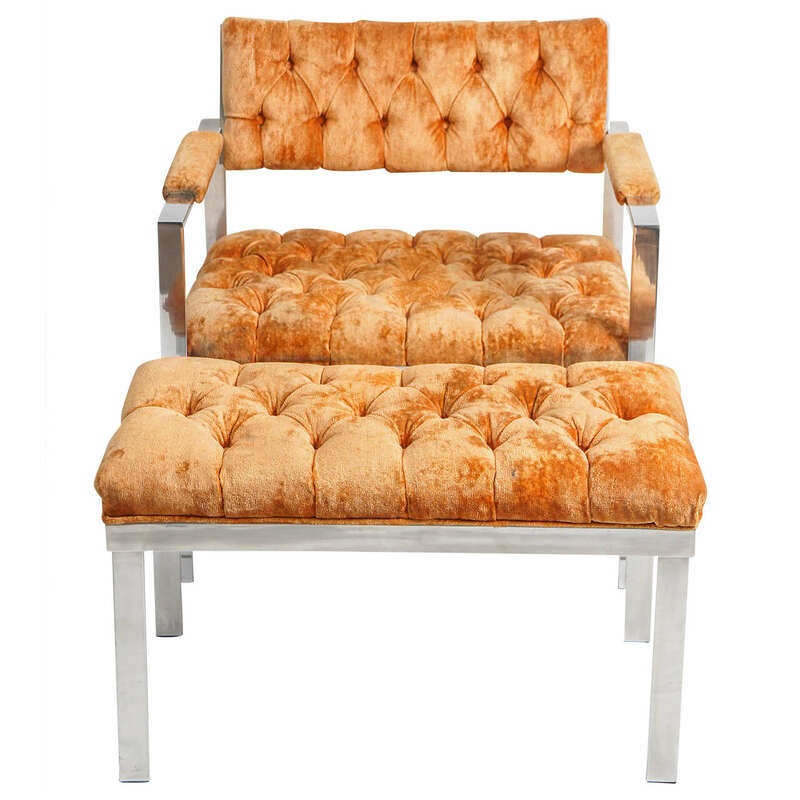 Beautiful pair of swivel chairs by Harvey Probber. 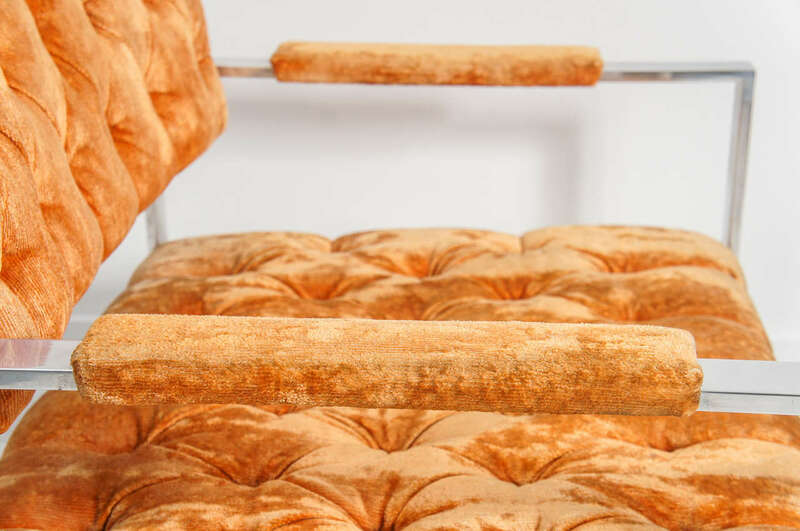 Fully restored and reupholstered. 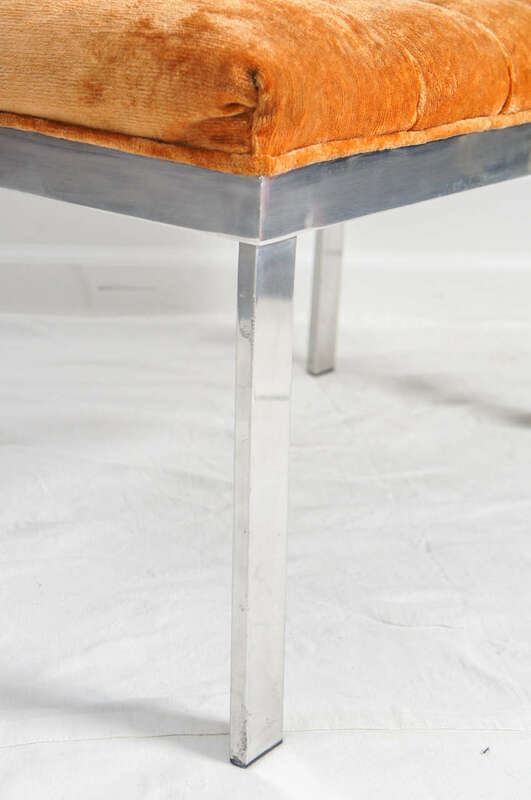 Chairs are upholstered in a gray velvet. They swivel and have a black base. They are super comfortable and a good size. 3 Scandinavian leather swivel chairs with ottomans dark brown color leather, sold together or separately. Adjustable height.